[Updated] Lillian Lightbourn, representing Sandys, was crowned the new Miss Bermuda tonight [July 6], beating out seven other competitors for the title. She will be heading to the United Kingdom in December to represent the island in the Miss World Pageant. Ms. Lightbourn, who has worked extensively in locales around the world, currently lives and works in New York as a fashion model. Additional acknowledgements included ‎Miss Hospitality being awarded to Miss Warwick, Miss Photogenic and the People’s Choice being awarded to Miss Sandys, and Miss Congeniality being awarded to Miss Devonshire. Previous to the pageant, when asked, should she win, what she planned to do with the exposure that being Miss Bermuda would give her, Ms. Lightbourn said, “I plan to use it to create change in any way I can, influencing the youth and everyone around me like I do now, but in a more direct way. 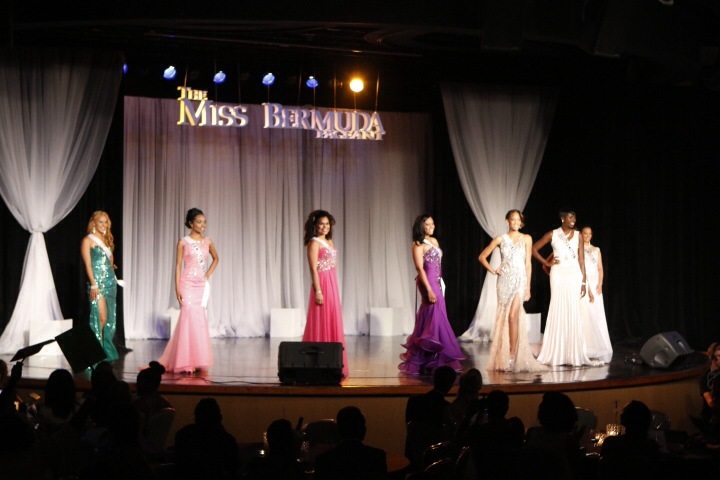 The event featured a choreographed introduction of the eight contestants, a swimsuit competition, an evening wear competition, on-stage interviews, judges’ questions, entertainment from Sia Spence, DemBiez, Troika, Jesse Seymour, and Canjelae Taylor, and the final walk of Miss Bermuda 2013 Katherine Arnfield, ending with the announcement of Miss Sandys as Miss Bermuda 2014. The pageant was hosted by Nadanja Bailey and Patrina “Power Girl” Paynter. The field was narrowed down to the top five contestants, including Miss Sandys, Miss St. George’s, Miss Pembroke, Miss Southampton, and Miss Devonshire, before Miss Sandys was announced as the winner. Update: Premier and Minister of National Security, Michael Dunkley, congratulated Lillian Lightbourn, Miss Sandys, who tonight was crowned the new Miss Bermuda. The Premier, who attended this evening’s Fairmont Southampton ceremony with the Minister of Public Works, Patricia Gordon-Pamplin, MP Nandi Outerbridge and Sen. Jeffrey Baron – who was a judge – said he was pleased to be able to witness such “great talent and poise” not just from Lillian, but from all eight contestants who participated in this evening’s event. Premier Dunkley said this evening, “I want to congratulate Ms. Lightbourn for her achievement in being crowned Miss Bermuda. Each of these young women demonstrated such strength and poise during some high pressure moments tonight and they should feel very proud of their performance. “The judges had a very difficult decision this evening, and I was very impressed with Lillian’s overall performance. I am certain that she will go on to represent Bermuda with the same grace and professionalism that she demonstrated this evening, and I want to encourage all of Bermuda to support her in going forward. Update July 7: Shadow Youth Minister Michael Weeks said, “The Bermuda Progressive Labour Party today extends our warmest congratulations to new Miss. Bermuda, Lillian Lightbourne. “We anticipate that Ms. Lightbourne will be an outstanding representative of Bermudian beauty, intellect, grace and poise as she goes on to compete in the Ms. World competition. Special congratulations to the winners of Miss. Hospitality, Miss. Photogenic and Miss. Congeniality. Update July 7: Video highlights from the show can be found here. 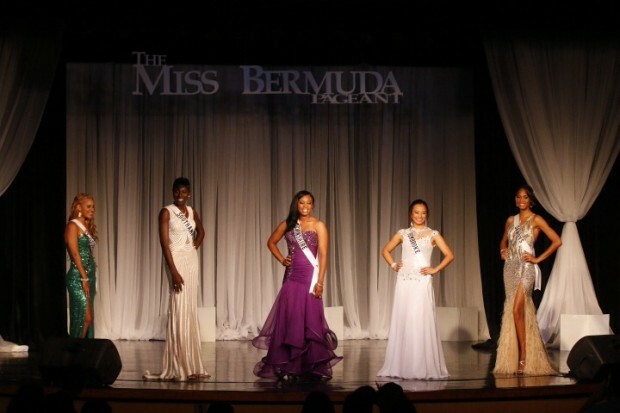 Congrats to all the finalist and the Winner of this years Miss Bermuda. Not to throw shade to the winner but I feel she had a bit of an advantage over the other young ladies. She is already a model and has been for a few years now. So on the big stage I think she is already used to being in front of the cameras and on stage. The same could be said for Miss Warwick who is an entertainer. This is a non-issue that you raise though. Having an advantage is no fault of theirs and certainly doesn’t make them ineligible to compete. Yeah like Usain Bolt has an advantage because he is fast! I would think that she has worked hard to accomplish her dreams and Im certain this was one of them. As we all know, its not easy pursuing a modeling career, as it requires a lot of hard work and dedication, and now she is reaping the rewards! Congratulations and good luck! Absolutely beautiful! Well deserved! Congrats to all of this years contestants, I know it was difficult for the judges as you all are an amazing group of women! Praying the best for your futures! Well done and good luck at Miss World. 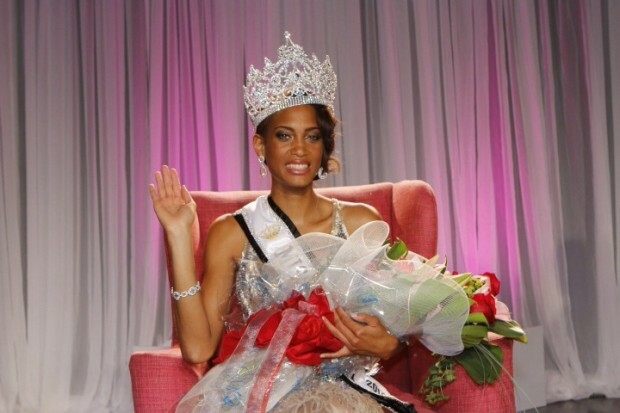 Sounds like it was the frist time Michael Dunky has ever bing to a miss Bermuda contest… So sad. so what if it was? why you gotta be a hater all the time? glad I’m not you, you sound like a miserable old junk yard dog. I wouldn’t consider this individual as a hater. Everyone is entitled to their opinion, just as you were entitled to your opinion. That a politician has never been to a Miss Bermuda contest is sad? You really are living up to your name……..Mad! Well Done Lil’s. I am so proud of you, the sky is defnately the limit. I know you will represent Bermuda well. Congrats to all of the contestants. Katherine it was so good to have met you through your journery as well. Well done Miss Lightbourne and the five finalists. You have done your parents and families proud. Carry on with your good works Miss Lightbourne as you travel to London for the Miss World Competition. Congrats Ms Lightbourn & all the girls that took part. You are all winners and should be VERY proud. Congrats to you Miss Sandys – Lillian Lightbourn all the best to you! A big congratulations to you, Lillian! You are a lovely young lady, inside and out! Sky is the limit, baby girl! Congrats to the other contestants too! You are all winners and should be very proud of your success!